Prabhas Raju, the dashing and debonair hunk of Tollywood is all set to make the Bollywood screen ablaze with his fiery performance in his upcoming SS Rajamouli's multi-lingual magnum opus BAAHUBALI. Though the movie is originally being made in Telugu and Tamil languages simultaneously but the movie is going to be dubbed in Hindi and released in North India though eminent film maker Karan Johar’s Dharma Production. As a result the movie has generated a lot of buzz both amidst Bollywood filmmakers and among the Hindi cine buffs. Standing tall at 6.2 inch Prabhas Raju is unarguably more handsome then the existing Khan Trio viz. Salman, Aamir and Shah Rukh ( all below 5.8 inch). If he has a competitor in Bollywood than he is only Hrithik Roshan but Hrithik has crossed 40 years while Prabhas Raju is just 35 years. Hence he is the right actor to take the crown of Superstar in Bollywood! But the multi dollar question is will the busiest and highly paid actor down South take a Bollywood route? “Who wouldn't do a Bollywood film. It is India's biggest film industry. 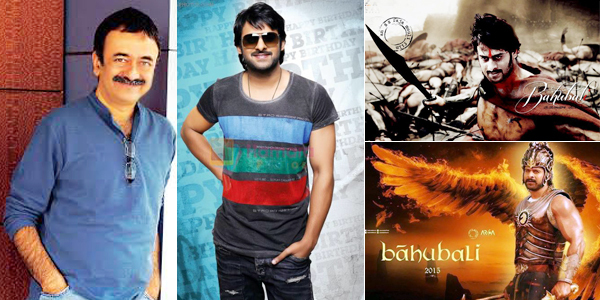 If I get a good offer, I will definitely do it,” said Prabhas when asked about Bollywood offer. “He is an intelligent filmmaker and all his films are wholesome entertainers. I have loved all his films. I can watch MUNNA BHAI MBBS 100 times; I can watch LAGE RAHO MUNNA BHAI 00 times; I can watch 3 IDIOTS 100 times. I even loved PK. But these three are my favorite,” he quipped.